Cabu reveal a whole new kind of work that we knew him for. Those sketches made at the Comédie-Française & at the Avignon Festival, go from subtlety to sagacity, to immortalize as much as possible those fleeting moments that he used to live at the theater where he used to go so often. 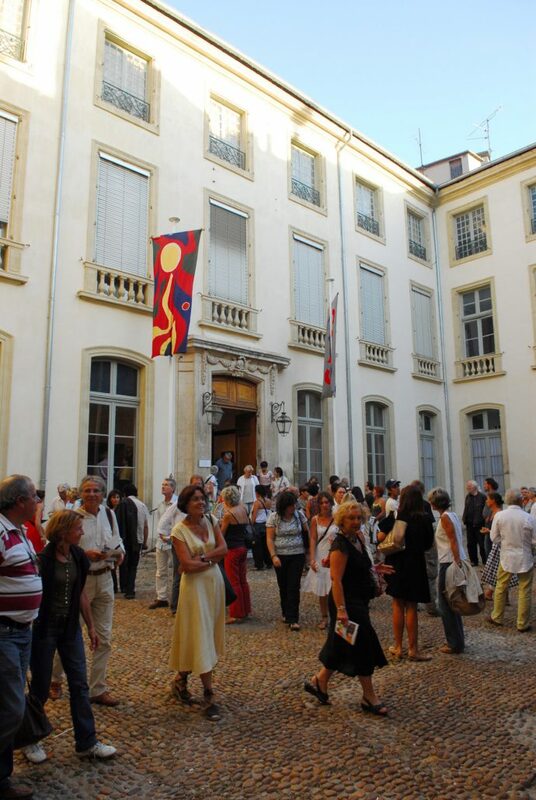 Commented tours of these two exhibits have been organized as well as some workshops called « Ateliers du visiteur». These workshops, targeted at a young audience, are the occasion to discover the knowledge and ideas of the young minds before the real tour to confront them with the ones they will have afterwards. A time of exchange, observation and comments where the free speech is left to the audience. Activities for young people and school groups based around artistic representation of the theatre and caricature.